DRAYTON!!! Finally, this monster is done! This home flip started back in DECEMBER when we moved here and I legitimately thought it would NEVER end. I've shared progress along the way - in addition to the tumultuous amounts of "WTF?!" moments lol. Now I get to share the full reveal here with all of yall! Also, I regret to inform all who messaged me during the reno process about when this puppy would hit the market that she never got the chance! It literally sold before we even finished lol. So you will all just have to stay tuned for our next reno (late September, early October give or take)! Okay, without wasting any more of your time - meet Drayton! 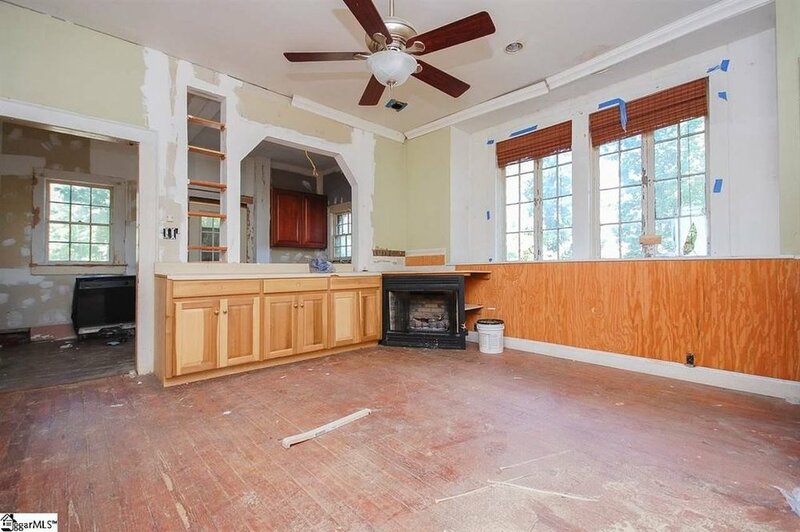 This 1915 craftsmen style foursquare home is what home renovation dreams are made of. It was full of rich history and amazing bones - but that did NOT make our job any easier lol. Blood, sweat, and literal tears went into this home and we could not be more pleased with her. 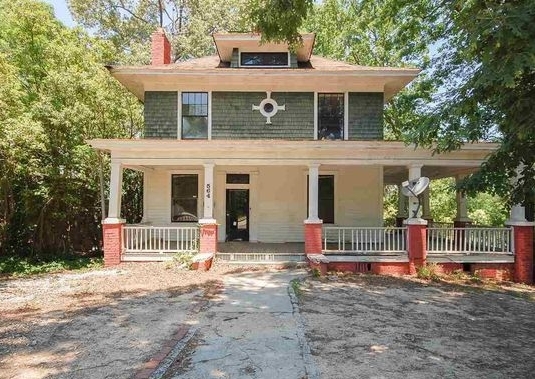 When I first saw Drayton my history loving brain exploded with creative ideas on how to update and modernize this 1915's home while still maintaining her charm. We knew right off the bat the layout just wouldn't work for a modern family. So with lots of scheming my amazing crew mapped out the perfect reconfiguration to utilize every square inch of this home. I've included lots of before photos so you can see how everything pieced together. For starters - when you first walked into the home it was closed off and cramped. Not ideal for any family. We all know open sight lines are everything these days, so that's where we started! Knocking down the walls between the living room, dining room, and kitchen not only opened up the space but also revealed these amazing hidden pocket doors! The back portion of the house was quite honestly just wasted space, so we opted to add a half bath for guests AND a mudroom/laundry space that would be sure to make every mother's pin worthy list. Once all the rooms were opened and layouts set - it was color scheme time. Because we wanted to keep the richness of character alive we opted for color instead of plain white. We chose Repose Grey for all the walls and followed it with semi-gloss white trim. In the main living area, we refinished the fireplace in white and custom built a cedar mantle to finish it off. We refinished the gorgeous pocket doors with a high gloss black that flowed perfectly into the freshly painted dining room. In the dining room, we kept things sleek and simple with an oil rubbed bronze 6-light pendant and a small granite bar cabinet for the perfect cocktail hour. Leading out of the dining room into the #goals kitchen are yet another set of those breathtaking black pocket doors! In the kitchen, we had some BIG plans. Thankfully, because my team is TOP NOTCH we pulled it off! First thing on the list - cabinet & island layout. We worked tirelessly to get this right AND on budget. We finally landed on this configuration and I gotta say - I could not love it more. We went with all white cabinetry to brighten and modernize the space and added oil rubbed hardware for a touch of nostalgia. We also went with a double-sided island for more cabinet space and a large farm style sink assuming this 4 bedrooms, 2 and 1/2 bath beauty would most likely be lived in by a family with kids. Which turned out to be a great call because that's exactly who bought it! My other favorite feature in this room is the custom-built cedar vent hood. We knew we wanted a statement piece that embodied the personality of this 1915's home and what says "historic charm" better than warm cedar wood?! The wood accents in this kitchen are seriously to die for. 😻 We added 2 large pantry units on either side of the gorgeous bay window and built a custom cedar bar top with an overhang perfect for everything from Saturday morning brunch to Thursday night homework. We went with a busier texture granite to add a little contrast to the very white kitchen and finished off with a retro beveled white subway tile and dark grey grout to again play into the home's character. Stainless steel appliances and some schoolhouse pendants and this kitchen was done! Moving into the mudroom we continued with the Repose Grey, white cabinetry, and granite countertops. We stuck with oil rubbed fixtures in this room too and kept the original door found on site for the laundry room. We also added a half bath with a simple pedestal sink and modern bar light to add a subtle farmhouse charm. We updated the additional bedrooms upstairs and did a massive overhaul on the hall bath. In this bathroom we went with grey subway and a white vanity with crystal knobs for another touch of nostalgia! Along with all the fun major upgrades we, of course, had all the standard ones to tackle as well. The entire house had to be re-wired for new electrical. All new plumbing, new AC put in, a new porch built on the back of the house and the existing porch re-enforced on the front. 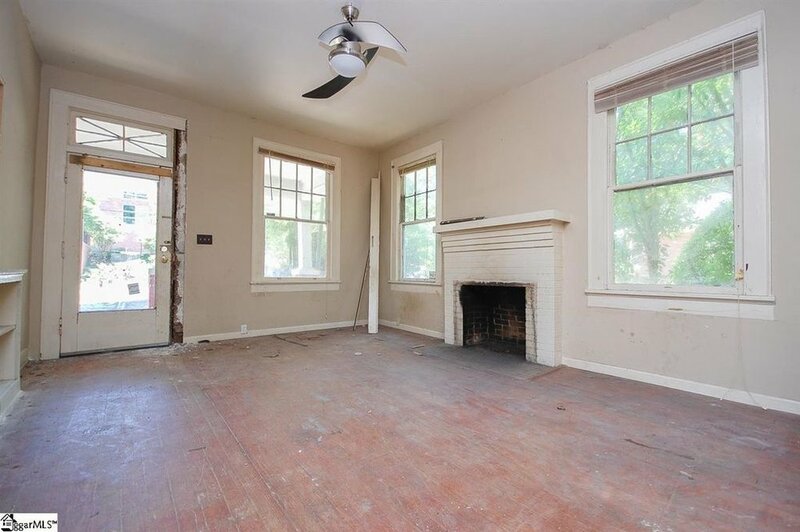 We refinished the floors, added all new crown molding, new ceilings, new roof, new windows, new exterior doors. Basically, everything in this house was old and neglected and needed to be fixed lol. BUT our team honestly could not be more proud of this flip & we are so excited that she already has new owners! Pregnancy Acne - Real Talk!